FORMULA 500s - The Last Chance! For the final time this season the Formula 500’s will hit the high banks of the Perth Motorplex this Saturday night and with the annual Silver Cup on the line, the Motorplex celebrating Retro Night as well as the Track Championship battle which is set to come right down to the wire, it is going to be a massive show. Ten cars have nominated for their last chance to grab a feature win at the Motorplex in season 2018/19, but the real battle is going to see a couple of drivers fighting hard for the Track Championship. Coming into the eighth and final round, Cameron Mckenzie leads the Championship by just one solitary point over Glenn Carstairs. Despite recording just the one podium finish, Mckenzie has consistently finished feature races this season and this has seen him on top of the pile, and with Carstairs not nominated for the show after engine issues, he is in the box seat to take out his first Track Championship. Chris Dymock is currently in third place and nominated for this weekend, just twenty-five points behind Mckenzie. Although a tough task, Dymock is more than capable of doing it and all it would take is for Mckenzie to have a rough night and Dymock could grab his second win in as many years. Four podium finishes including one win are the highlights of his Motorplex season but a DNS in the opening round feature could prove costly…what will happen come Saturday night? Impressive rookie JyeMckenzie has also had a good season, currently fourth overall in the Championship. A best results so far of sixth, which he has grabbed twice, has set the youngster a score to beat and with the experience he has gained throughout the season, this is a real possibility. 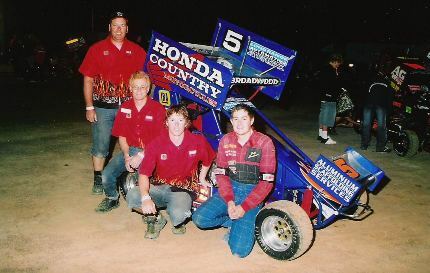 Ryan Higgs has only raced two shows at the Motorplex this season, grabbing a win last month, something he is keen to repeat this weekend, while Todd Broadwood is also back in the field and after winning the Silver Cup back in season 2006/07 season it has been a long time between drinks, something he will want to rectify come feature time! Luke Nardini and Jamie Nardini are always quick and will want to end their seasons on a high while Greg Edwards and the impressive Amy Waldron have also nominated for Saturday night’s showdown. Adding some spice to this weekends field is the return of Mark House. 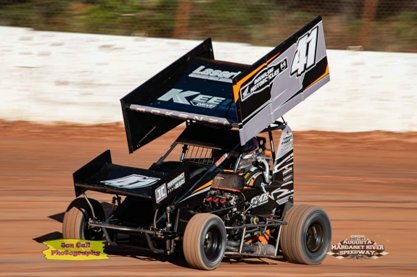 A four-time feature winner at the Motorplex, House has not raced at the venue since the 13th of January 2018 and is keen to throw the proverbial cat amongst the pigeons and grab a feature win on Saturday. It is going to be another big show and a great way to farewell the Motorplex for another season, so make sure you get your backside trackside this Saturday night! Pics Courtesy Jon Gall and BFR. Pictures: Retro Night is in full swing this weekend with former Silver Cup winner Todd Broadwood in the field, while Cameron Mckenzie is keen to grab his first Perth Motorplex Track Championship win!